We love to work with our clients designing, developing, and marketing their business to success! 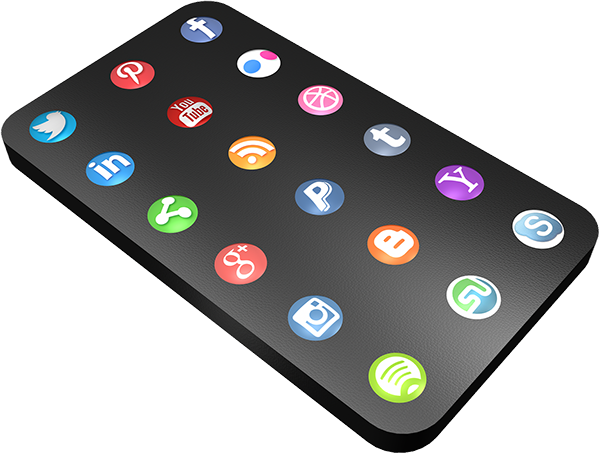 Reach and convert your target customer with SEO, social media, email, content marketing, PPC and more! Our clients choose KLH because they’re looking for a long-term web partner they genuinely enjoy working with. KLH works hard, designs smart, and produces creatively to make your business a success. We offer customized solutions using the latest technology trends to maximize your online visibility. Make your website stand out. We turn your vision into a functional creative design that your customers will love. Get results! We offer custom web solutions tailored to your business needs and goals. If you build it, they don’t just come. We help you with strategies on increasing views and then turning those visitors into customers. We work with passion and that’s the reason we're in business. We love to work hard, create things and always aim to please every client. Let KLH help elevate your business website to the next level. KLH produced an amazing website for my business and provided SEO so that new students can easily find me – she listens and directly communicates. The level of experience, knowledge and professionalism is a breath of fresh air! I love my website! I have been very pleased with the service I have received through KLH Technology Solutions. They set up my entire website. I have received many compliments on it. I would not hesitate to recommend them to anyone needing this type of service. KLH Technology Solutions has been instrumental in helping us present our business and product in a manner that reflects exactly what we envision. I enjoy easy access to my “webmaster”. KLH is always available to talk about ways to improve traffic and visibility and is upfront as to the cost before the work is started. Our sites have been ranked in the top 10 for our keywords, most coming in 1st on the top search engines. Doing business with KLH has been a pleasure. KLH Technology Solutions has been invaluable in shaping our online marketing, social media and company website. Kara is extremely knowledgeable, results-oriented, and always quick to respond. We first called Kara to guide us into the world of Social Media, but also quickly incorporated her other services as a part of a profitable sales strategy. Our company social reach and online presence has increased month over month since we started. I highly recommend KLH to anyone looking for a top professional in web solutions. As a small business you need all the help you can get and KLH Technology Solutions has been very helpful especially with our website and digital marketing. KLH has given us fast turnaround and the knowledgeable service that our business needs. Working with KLH Technology Solutions was very easy. Updating our website and making it more mobile and user friendly was seamless. Our patients noticed and appreciated the improvements. Our business has increased due to KLH helping us keep up with 21st century technology. Kara has done wonders for my business helping me to understand things that I was clueless about which has dramatically helped my business improve. The website she created for me has not only taken me to a higher competitive edge in my market but is also one of the nicest looking websites I’ve ever had. Kara Hooper is the whole package when it comes to developing a website! She is personable, responsive, and seeks to understand what I wanted to convey on my site. 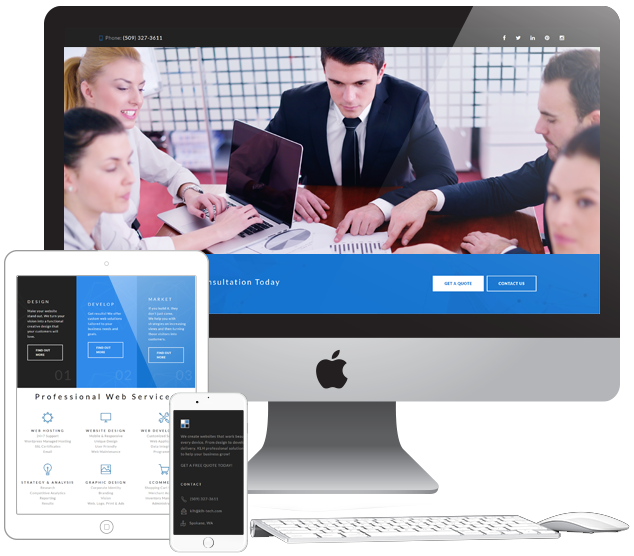 She is also very knowledgeable about all the technology required to launch and maintain a quality and easily accessible website. Since all the jargon is like a foreign language to me, she explained all the details in ways that I could grasp, and this really put me at ease. It is a joy to work with Kara and I’m proud of what we created together. Kara Hooper at KLH Technology Solutions guided us through the website development process with patience and professionalism. From beginning to end she gave us an accurate estimate, explained how the project creation would go and followed through 100% on her end. What we liked is that she was very proactive and communicative through the entire project. She would always answer all our questions very promptly and was always open to our input when we wanted something changed. In the end our website came out the way we wanted it and we have a clear vision of where we would like to see it evolve to in the future and we know Kara can help us get it there. We have worked with KLH Technology Solutions since January 2016. We wanted a local company that would be available if we need one on one. Kara Hooper has helped us design our new website, correct numerous Google listing errors, and improve our online presence. She is very creative and her suggestions have helped save us money. She has helped with design work and website content. We don’t have a digital headache with Kara as our Webmaster and can focus on the day to day of office operation and serving our patients. She is very responsive to our requests usually on the same day. We are very pleased and will continue our productive relationship. We create websites that work beautifully on every device. From design to development to delivery. KLH professional solutions has it all to help your business grow!